Even though my skincare rituals are fairly simple I always make sure the basic steps are included. Cleanse, exfoliate + moisturize, you know the drill. I always seem to be testing new picks, I recently had a bit of a browse through the purse friendly sections and found some good if not great ones. Ever since Sali Hughes spoke in favour of the Superdrug Simply Pure Hydrating Serum I knew I had to have it. 1) Because my skin is always always in a desperate need of moisture, and 2) Because I trust Sali's opinion on anything beauty related. However, this serum wasn't easy to come by, luckily it is now back in stock hopefully for longer and half priced last time I checked. I snapped up the last bottle quickly and already need a repurchase. It does the job and I prefer it over other hydrating serums I've tried. It offers an instant surge of moisture, the surface of my skin looks plump and moist for a decent amount of time. I use it day and night. Bargain! I've not had a facial oil for what seems to be a long period of time. Sadly my skin hasn't been the greatest these days (I blame the cold weather of the north). It's lost its glow and I struggle with maintaining moisture a lot. As a result my make up base doesn't look right. No make will ever look great if the skin is not prepped and taken care of properly. 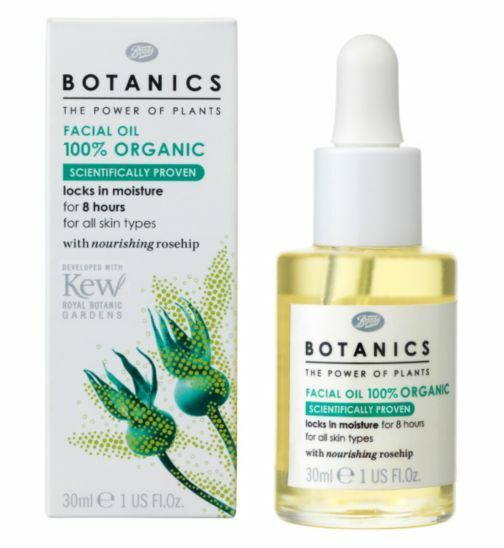 Botanics Organic Facial Oil has got a nice weightless texture and key ingredients that help in replenishing and hydrating. Upon applying it over night my skin looked significantly brighter and softer the next morning. And finally, my trusty good ol' Oilatumn Natural Repair Face Cream. I'm not entirely sure about the repair abilities but it's a nice rich yet not greasy moisturizer. I tend to reach out for it quite frequently as it's ideal for dry and sensitive skin. I always think it's a but underrated, I blame the non glamourous packaging. The product itself is grand though.